Working Oregonians are making the state economy hum. We are outpacing much of the nation on a number of key economic measures. Oregon's workers are producing goods and services much more efficiently than we were a few years ago. With the economy on an upswing, Oregon's workers should be seeing increased economic opportunities, but the numbers show they're not. Who's getting ahead? Not enough of us. 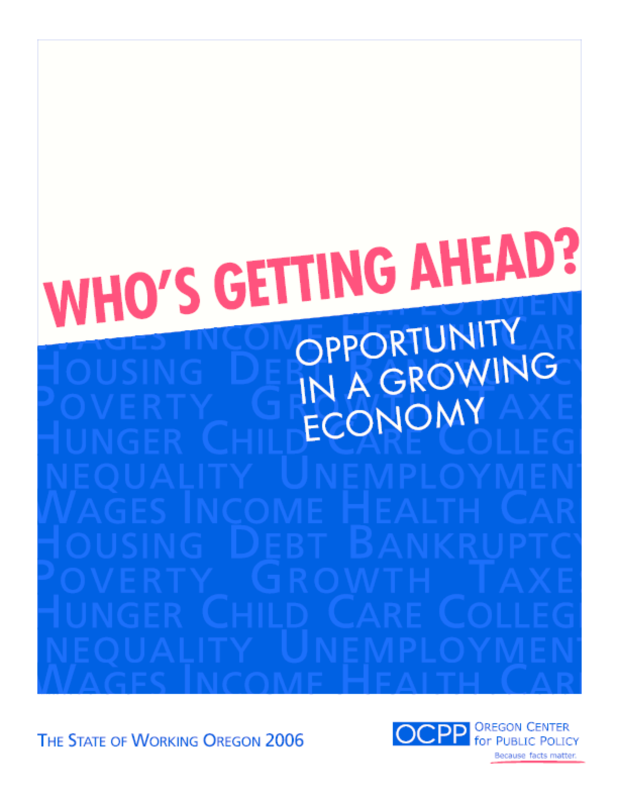 This report, a resource guide for policy makers, advocates, the media, and the general public, explains why. Copyright 2006 Oregon Center for Public Policy. All rights reserved.